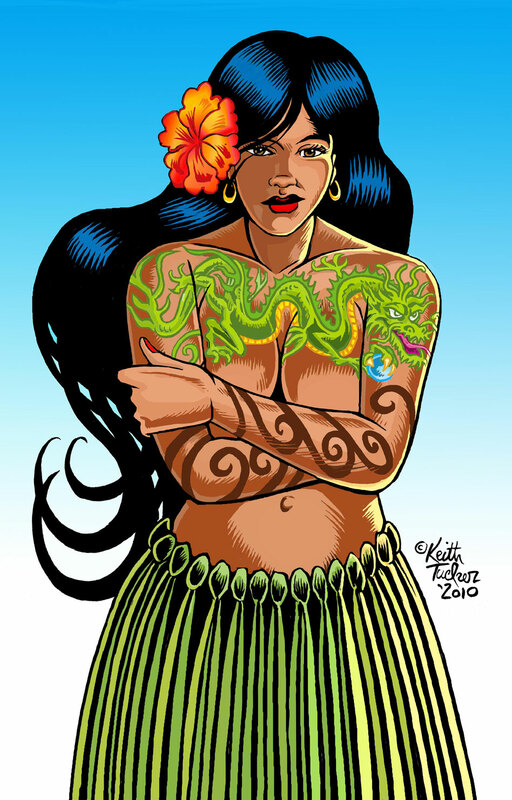 "Sassy Hula Gal and Tiki God"
Today is international Tiki Day, so in its honor I drew this new image, of a sassy hula gal and Tiki God. WHAT IF... ANCIENT HAWAII... WAS INVADED...BY ACTUAL TIKI'S FROM OUTER SPACE? AND WHAT IF KEITH TUCKER TOLD THAT STORY IN A RETRO EC COMIC STYLE? TUNE INTO TIKI MAGAZINE TO FIND OUT FOR YOURSELF! 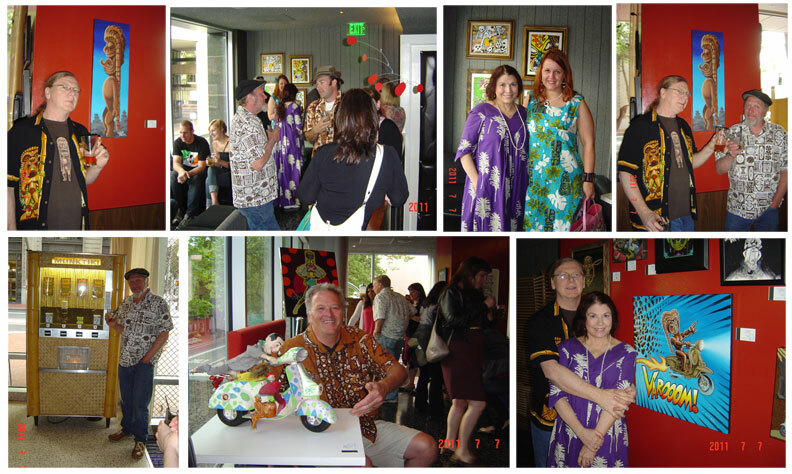 I'LL BE AT THE OPENING RECEPTION, HOPE TO SEE YOU THERE! 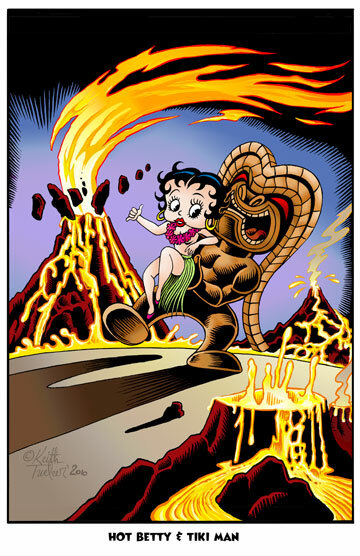 "ELROY ARTSPACE" AT "THE ORIGINAL"
"Hot Betty and Da' Tiki Man!" 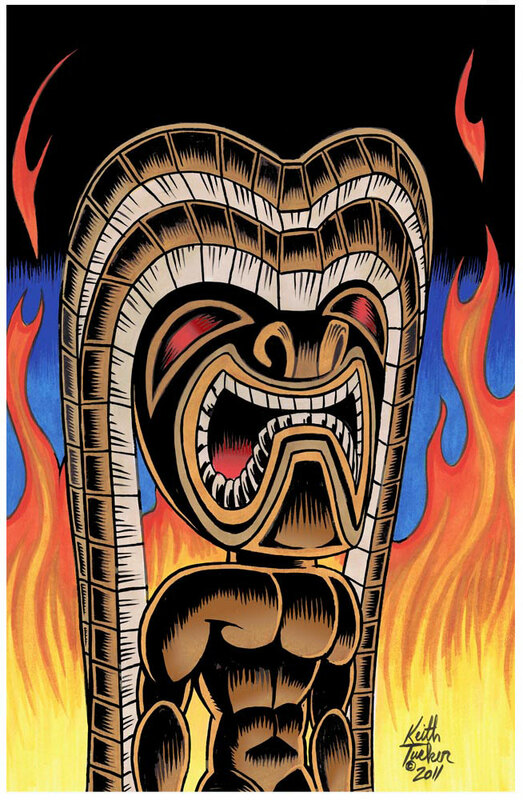 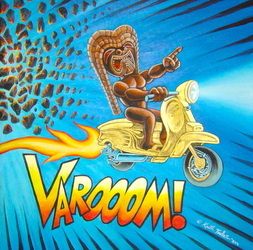 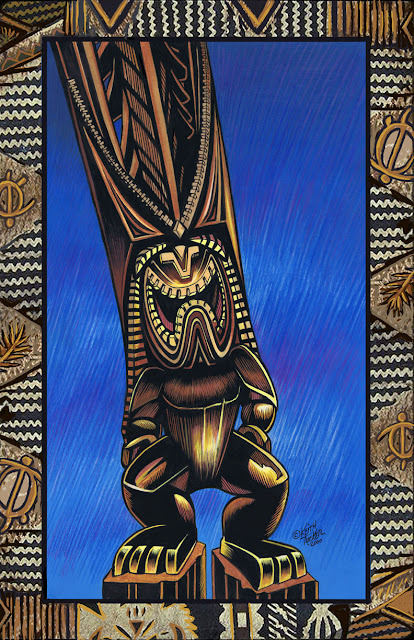 OF MY "HOMAGE TO TIKI" PAINTING. 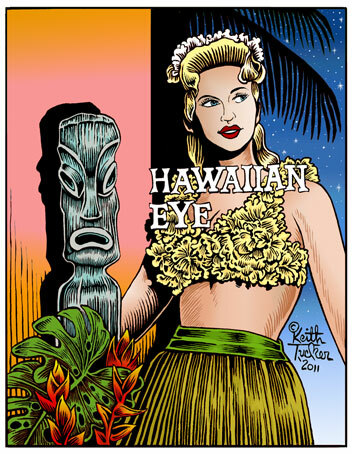 CHECK IT OUT AT NEWSSTANDS NOW!